Lexington, KY – The 7th Annual Lexington Lions Club Bluegrass Flower and Vegetable Show was a rip-roaring success! More entries than ever, more winners than ever, more FUN than ever! The Show is an opportunity for gardeners of all ages in Fayette and surrounding counties to learn, compete and “Show What You Grow.” Watch this space for information on the 2016 Show. “The Show gets bigger and better every year and we hope to attract more entries this year from young gardeners in Kentucky. It’s a great way for them to learn and gain a sense of achievement,” said Karen McVey, Show Chairperson and Member, Fayette Master Gardener Association. The annual show, now in its 7th year, is a crowd pleaser. Blue Ribbons are awarded in categories for Youth, Horticulture and Design. 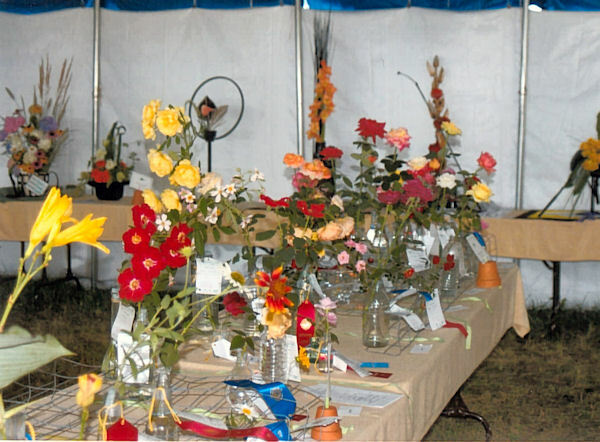 Jamie Dockery, Horticulture Agent, Fayette County Extension Service, said, “It’s a little like an old-fashioned County Fair and at the same time, an opportunity to be judged by professionally-trained horticulture experts.”This year’s fair dates are July 11-12. Click here for details on the show, including horticulture and design classes.